When photographing a landscape or street shot I would start with one of the bottom composition tools. I may incorporate one or all of them. Once I’ve used one or all of the building blocks I would then move up to the middle row, I would use one or all to complement the bottom row and then move to the top. You can substitute any composition element to either block depending on the style of photographer you are. The point is, you could use the pyramid as a way to help train your mind to look for interesting compositions. ISO 200, 23mm, f/16, 20 sec. 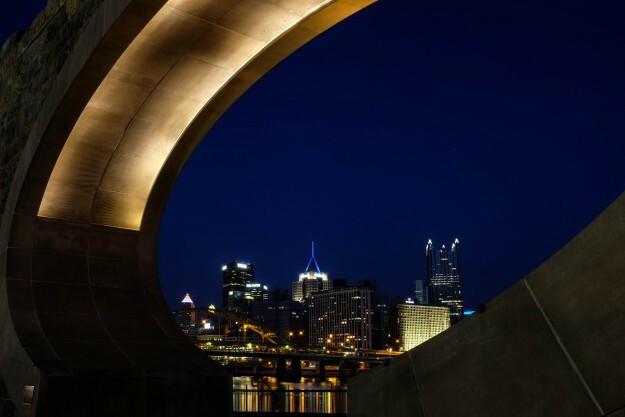 The Mr. Rogers memorial was used in this image to frame the city of Pittsburgh. The lighting around the memorial helped to emphasize the frame. The camera was angled low enough to catch the reflections on the water that created leading lines that draw the viewers eyes to the city. 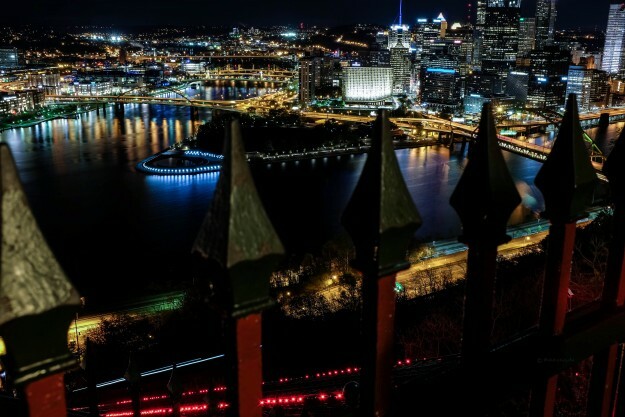 The timing was specifically chosen so that it was dark enough to make the lights stand out but not so dark that you would not be able to see the outline of the city on the still blue background of the sky. Had I waited another 30 minutes the city would not have stood out the way it does. When used properly, the pyramid will make your photography more dynamic, complex, and in turn more creative and interesting. When you embark on photographing something you should look at your subject as if it were a puzzle, you will need to compose the scene in a way where all the pieces come together to create the ideal photograph. 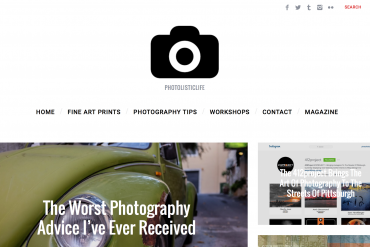 This approach to photography is not a one size fits all approach. For instance, if you are taking portrait shots of your child then you may want to refrain from leading lines, reflections, and a number of other things. I’ve found that this approach, the Pyramid of Composition, is best used when doing landscape and street photography. ISO 200, 23mm, f/10, 18 sec. The photograph above was taken from the Duquense Incline observation deck. I have always wanted to take this photograph but I didn’t want mine to look just like the thousands before it. When I got to the observation deck I resisted the urge to raise my tripod above the metal fence because I really like the red in the fence and wanted to see if I could capture the red lights that lined the inclines path. 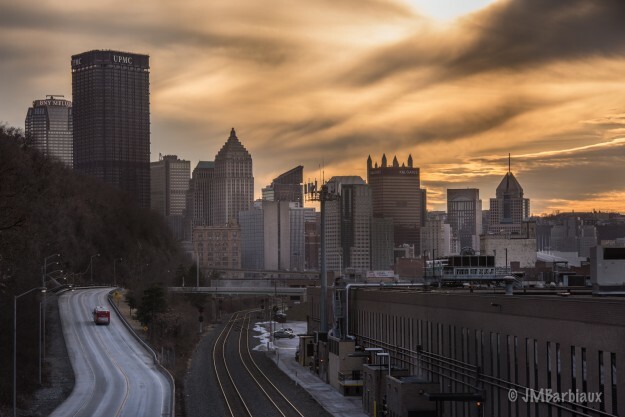 Though the fence obscures the city view slightly it gives a sense of depth to the two-dimensional photograph and I feel it gives the viewer the sense that they are standing right there with me. Ironically, a great way to know if you are on the right path is to look where everyone else is photographing and if you’re standing right next to them then you had better reevaluate your approach to the scene. The cluster of tourists standing together taking shot after shot baffles me, if you wanted that photograph you could save yourself thousands of dollars of travel money and pull it (and hundreds of identical photos) right off of Google images. Use the Pyramid of Composition to increase the quality of your photography instead of the “spray and pray” approach (shooting hundreds of pictures at everything that will sit still long enough for you to press the shutter button and then hoping a couple are keepers). The composition techniques I used for my pyramid above may be helpful to some. Others can build their own pyramid to suite their own needs. 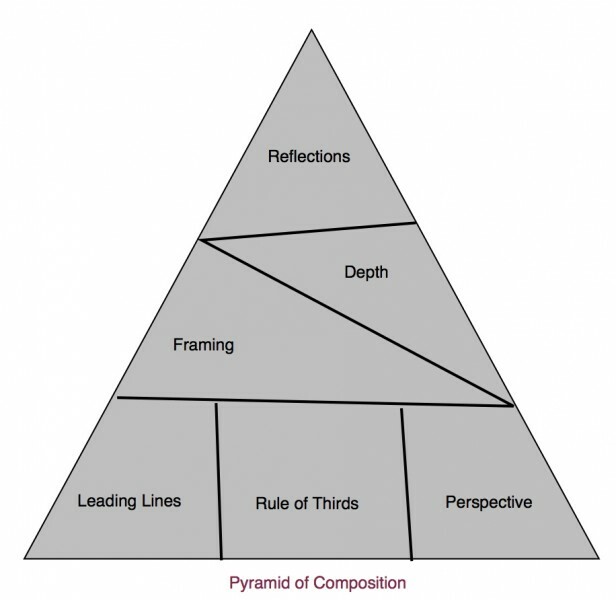 For more information on the compositional elements click the links below. This article and the concept explained is for reference purposes only, reproduction is prohibited.